The acute respiratory distress syndrome (ARDS) remains a world-wide treatment challenge, with high morbidity and mortality. The central pathophysiology of ARDS centers around inflammation in the lung and increased microvascular permeability. Local anesthetics have been shown to have anti-inflammatory effects at the basic science level and the advent of local anesthetics with improved cardiovascular safety profiles has made use of local anesthetics in attenuating the inflammation in ARDS a recent research interest. In this review, we will provide a brief summary of some of the basic science work in local anesthetics and lung inflammation and provide a case for the bench to bedside research in this potential therapy. 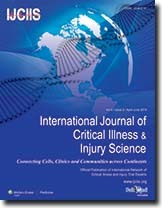 Background and Aims: This study was undertaken, to assess the clinical parameters in patients of poisonous snakebite, complications which occurred in them, their outcome and to evaluate various clinical predictors of mortality Materials and Methods: Four hundred and thirty-two patients of snake bite were admitted, of which 172 did not show any signs of envenomation and excluded. Two hundred and sixty patients had signs of local or systemic envenomation and included. Complete clinical examination, blood counts, kidney function tests, serum electrolytes, coagulation profile was done in all patients. All received tetanus toxoid and anti-snake venom (ASV). Appropriate supportive treatment was given. 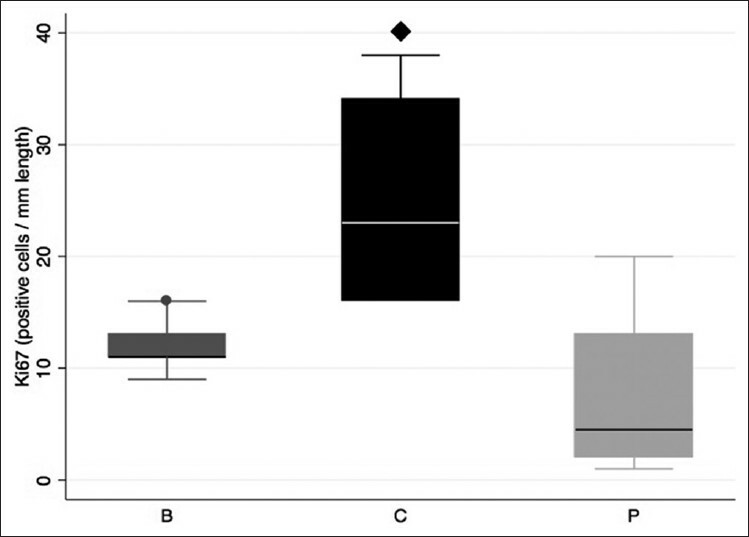 Clinical and laboratory parameters were compared between patients who were discharged (Group A) and those who expired (Group B). All data analysis was performed by using stata software version 10 [StataCorp LP, Texas, USA] and SPSS version 11 [SPSS Inc, Chicago, USA]. Results: Out of 260 patients, 58 died and 202 survived. Mean age was 34.97 ± 14.07 years. One hundred and eighty-six (71.5%) patients were from rural areas and 74 (28.5%) from urban. 63.4% of bites occurred during rainy season. One hundred and ninety-seven (75.8%) had bite on lower limb and 62 (23.8%) on upper limbs. All 260 patients (100%) had pain at site of bite, local swelling in 252 (96.9%) and blackening of skin, blebs in 18 (6.9%). Seventy-seven (29.6%) had bleeding tendencies. Ptosis was present in all the 65 patients with signs of neuroparalysis. Eighty (30.8%) patients had acute renal failure. The mean duration of stay in survivors was 7.50 + 4.13 days and in non-survivors it was 3.45 + 3.02 days. Out of 58 who died 18 (31%) patients, succumbed within 24 hrs. On multivariate analysis, significant predictors o mortality were bleeding tendency (P = 0.013), mean PTTK (sec) (P = 0.047), respiratory failure (P = 0.045), shock (P = 0.013), mean ASV dose (cc) (P < 0.001). Conclusions: Mortality in patients with snake bite can be predicted by simple variables like presence of bleeding tendencies, respiratory failure, and shock. These parameters can help the doctors at peripheral health centers to predict outcome, so that such high risk cases can be referred to higher centers for expertise management without wasting time. Background: Hypermetabolism and hyposomatotropism related to severe burns lead to impaired wound healing. Growth hormone (GH) boosts wound healing notably following stimulation of the production of insulin-like growth factor-1 (IGF1), a mitogen factor for keratinocytes. Gamma-hydroxybutyrate (GHB) stimulates endogenous GH secretion. Aim: To assess effects of GHB sedation on keratinocytes proliferation (based on immunohistochemical techniques). Design: Monocentric, prospective, controlled trial. Materials and Methods: Patients (aging 18-65 years, burn surface area >30%, expected to be sedated for at least one month) were alternately allocated, at the 5 th day following injury, in three groups according to the intravenous GHB dose administered for 21 days: Evening bolus of 50 mg/kg (Group B), continuous infusion at the rate of 10 mg/kg/h (Group C), or absence of GHB (Group P). They all received local standard cares. Immunohistochemistry (Ki67/MIB-1, Ulex europaeus agglutinin-1 and Mac 387 antibodies) was performed at D21 on adjacent unburned skin sample for assessing any keratinocyte activation. Serum IGF1 levels were measured at initiation and completion of the protocol. Statistical Analysis: Categorical variables were compared with Chi-square test. Comparisons of medians were made using Kruskal-Wallis test. Post hoc analyses were performed using Mann-Whitney test with Bonferroni correction for multiple comparisons. A P < 0.05 was considered to be statistically significant. Results: A total of 14 patients completed the study (Group B: n = 5, Group C: n = 5, Group P: n = 4). Continuous administration of GHB was associated with a significant higher Ki67 immunolabeling at D21 (P = 0.049) and with a significant higher increase in the IGF1 concentrations at D21 (P = 0.024). No adverse effects were disclosed. Conclusions: Our preliminary data support a positive effect of GHB on keratinocyte proliferation and are encouraging enough to warrant large prospective studies. Traumatic brain injury (TBI) is the leading cause of death and disability in children over 1 year of age. Knowledge about the age-specific types of injury and how to manage children with neurotrauma is essential to understanding and recognizing the extent and degree of injury and to optimize outcomes. In this article, we review the epidemiology, pathophysiology, and clinical management of pediatric neurotrauma. This paper reviews the medical use of helium oxygen mixture in obstructive airway disease in patients with croup, narrow endotracheal tubes (ETTs), respiratory distress syndrome, asthma, bronchiolitis, as well as patients with acute exacerbation of chronic obstructive pulmonary disease (COPD) and acute lung injury. In addition, some other indications of heliox use and some innovative methods of ventilation applied in pediatrics and adults are presented through review of the literature of current decade. Yet, to recommend heliox use seems to require more research based on clinical practice and observation through vaster and more robust investigations. Hemodynamic monitoring in the form of invasive arterial, central venous pressure and pulmonary capillary wedge pressure monitoring may be required in seriously ill Intensive care unit patients, in patients undergoing surgeries involving gross hemodynamic changes and in patients undergoing cardiac surgeries. These techniques are considered the gold standards of hemodynamic monitoring but are associated with their inherent risks. A number of non-invasive techniques based on various physical principles are under investigation at present. The goal is to not only avoid the risk of invasive intervention, but also to match the gold standard set by them as far as possible. Techniques based on photoplethysmography, arterial tonometry and pulse transit time analysis have come up for continuous arterial pressure monitoring. Of these the first has been studied most extensively and validated, however it has been shown to be substandard in patients with gross hemodynamic instability. The other two still need further evaluation. While the non-invasive methods for arterial blood pressure monitoring are based on diverse technologies, those for measurement of central venous and pulmonary pressures are mostly based on imaging techniques such as echocardiography, Doppler ultrasound, computed tomography scan and chest X ray. Most of these techniques are based on measurement of the dimensions of the great veins. This makes them operator and observer dependent. However, studies done till now have revealed adequate inter-observer agreement. These techniques are still in their incipience and although initial studies are encouraging, further research is needed on this front. Pseudomonas aeruginosa is usually considered a relatively rare pathogen of pyogenic liver abscess in healthy children. A 3-year-old girl presented with fever, abdominal pain, and vomiting. Ultrasonography of the abdomen showed multiple liver abscesses. During her stay in hospital, she developed portal vein thrombosis, hepatic encephalopathy, and multiorgan dysfunction. Her blood culture and pus culture grew pseudomonas aeruginosa. She was started on intravenous antibiotics and supportive treatment. Ultrasound guided aspiration was done and a pigtail catheter was inserted. However, she did not respond to the treatment and died on the 14 th day of admission. The immune work up of the patient was normal. Through this case, we wish to highlight this unusual case of community-acquired pseudomonas aeruginosa liver abscess in a previously healthy child. Clinicians should be aware of this association for early diagnosis and timely management. Tulipalin A induced phytotoxicity is a persistent allergic contact dermatitides documented in floral workers exposed to Alstroemeria and its cultivars. The causative allergen is tulipalin A, a toxic glycoside named for the tulip bulbs from which it was first isolated. The condition is characterized by fissured acropulpitis, often accompanied by hyperpigmentation, onychorrhexis, and paronychia. More of the volar surface may be affected in sensitized florists. Dermatitis and paronychia are extremely common conditions and diagnostic errors may occur. A thorough patient history, in conjunction with confirmatory patch testing with a bulb sliver and tuliposide A exposure, can prevent misdiagnosis. We report a case of Tulipalin A induced phytotoxicity misdiagnosed as an unresolved tinea manuum infection in a patient evaluated for occupational exposure.